1. Cindy Sheehan stands up to President Bush in Crawford, TX and reawakens the anti-war movement. When the 'Peace Mom' was at the Veterans for Peace conference in Dallas,Texas this summer she decided she was going to Crawford to see the President. She went but only saw the President as he sped by to a fund raiser for Republican candidates. But Bush - and the world - heard her question: "Mr. President what was the noble cause for which my son Casey died?" The President is still having trouble with that basic question. Sheehan's stand awakened the nation in what Nancy Lessin of Military Families Speak Out described as "the acoustics of ditch." Sheehan usually appears on stage with other Gold Star Families, family members of soldiers serving in Iraq and veterans of the Iraq War recognizing that she is just one of hundreds of thousands of family members whose loved ones have been killed or seriously injured in the war and occupation. 2. The people speak with their feet and in the polls. A majority of Americans now believe the war was a mistake and want to see the U.S. beginning to withdraw troops from the country. In March more than 700 demonstrations were held throughout the country on the second anniversary of the invasion. On September 24, several hundred thousand people took action and demonstrated in Washington, DC against the war in Iraq. The march, co-sponsored by United for Peace and Justice and the ANSWER Coalition, featured speakers from a wide range of perspectives - geographic, political, ethnic and religious. The event was reported in the corporate media as a 'mere' 100,000 when DC police officials said the organizers at least met their goal of 100,000. After the march activities continued a United for Peace and Justice sponsored lobby day where more than 1,000 people lobbied elected officials. And, the several days of activities included civil disobedience where 40 people were arrested at the Pentagon and more than 370 people were arrested at the White House - three times larger then the previous record for arrests for civil disobedience at the White House. 3. The people of Iraq who have stood up for their nation's freedom - voting for political parties that call for the end of the occupation, with political leaders who signed the Cairo Statement that called for withdrawal of troops, for political forces putting forward the framework for a ceasefire and end to the war, and for Iraqis who have resisted the occupation. DemocracyRising does not support terrorism but recognizes the desires of Iraqis to see foreign troops leave their country as well as their ability to fight the world's most powerful military force to a standstill. 4. Rep. John Murtha (D-PA) puts forward an exit strategy. Murtha, who supported the invasion of Iraq and consistently advocates for a stronger military and larger defense budget, urged an immediate 'redeployment' of U.S. forces out of Iraq to be completed in six months. The proposal is more aggressive than any legislation introduced up to that time, and because of Rep. Murtha's reputation as a hawk, it immediately starts an aggressive discussion of the war in Congress. - Brent Skowcroft, national security adviser to President George H.W. Bush and deputy to Henry Kissinger in the Nixon Administration, who described the Iraq War as a failing venture. - General William Odom, a Retired General, Former Head of NSA Under President Reagan, wrote an article "What's Wrong with Cutting and Running?" in which he argued all we fear is more likely the longer we stay in Iraq. - John Deutch, headed the Central Intelligence Agency from 1995 and 1996 and was deputy defense secretary 1994-1995 called for U.S. troops to immediately leave Iraq in June 2005. - Zbigniew Brzezinski, national security adviser to President Carter, describes President George W. Bush's foreign policy as "suicidal statecraft" in a Los Angeles Times commentary. - Melvin Laird, the Secretary of Defense for President Richard Nixon, calls for an exit strategy from Iraq saying the Bush administration is repeating mistakes in Iraq made by Richard Nixon during the Vietnam war. - Lawrence B. Wilkerson, former Chief of Staff to Secretary of State Colin Powell and a retired Army colonel in a speech to the New America Foundation and a Los Angeles Times commentary accused Cheney and Pentagon chief Donald Rumsfeld of leading a "cabal" that circumvented the formal policy-making and intelligence processes in order to take the country to a disastrous war in Iraq. - Gen. Joseph P. Hoar, a retired four-star general, was Commander in Chief of the U.S. Central Command (1991-94) and commanded the U.S. forces in the Persian Gulf after the 1991 war, described the Iraq War as "wrong from the beginning . . ."
- Vice Admiral Jack Shanahan (ret.) has described Iraq as "the wrong war at the wrong time." - Edward Peck, the former U.S. Ambassador to Iraq and Deputy Director of President Reagan's terrorist task force who served in World War II and Korea and then for 32 years as a diplomat describes the Iraq War as "unnecessary, poorly conceived and badly planned." 6. Republicans begin to break rank with the President. 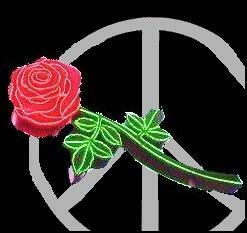 The anti-war movement began to see some breakthroughs in the Republican Party - most notably Senator Chuck Hagel (R-NE) who says, we're destabilizing the region. And, in the House. Rep. Walter Jones (R-NC), known for renaming the Congressional French Fries "Freedom Fries," called for withdrawal and claimed he was misled when he supported the war. Rep. Ron Paul, a Republican with strong libertarian instincts, has criticized the "neocon global government" and said the U.S. is "ignoring reality in Iraq." Rep. John Duncan, Jr. (R-TN) argued that true conservatives should oppose the "undeclared and unnecessary war" in Iraq in a speech entitled "The Situation in Iraq" on the the House Floor on June 28. 7. Soldiers start to say no to the war, recruiters fail to meet recruitment goals, and mothers organize against the draft. The end of the Vietnam War came in part because U.S. soldiers lost faith in the war and their military leadership. In 2005 the U.S. began to see that starting in Iraq. Soldiers were leaving the country to avoid service and others faced prison for conscientious objection. Pablo Paredes statement upon his sentencing for refusing to return to Iraq said it clearly: "I am guilty of believing this war is illegal. I'm guilty of believing war in all forms is immoral and useless, and I am guilty of believing that as a service member I have a duty to refuse to participate in this war because it is illegal." Seeing the reality war creates anti-war activists willing to go to jail for their views. As Cynthia McKinney said of Kevin Benderman, another conscientious objector, "He was present when his superior ordered his unit to open fire on small children who were throwing rocks at the soldiers of his unit. He chased the hungry dogs from an open mass grave filled with the bodies of young children, old men and women. Kevin saw the burned child, crying in pain, while all around her ignored her injuries." Kevin's wife Monica continues to speak out against the war while her husband is incarcerated. Counter recruitment, already difficult because the Iraq War is unpopular and the commander in chief is not trusted, was made more difficult by counter recruitment efforts. 8. Congress stands up to the President and Vice President on torture. Three leading Republican Senators -- John McCain (AZ), John Warner (VA) and Lindsay Graham (SC) -- challenged the White House with legislation that would expressly prohibit cruel, inhumane or degrading treatment of detainees in US custody anywhere in the world. Both Houses of Congress voted overwhelmingly to ban torture - even after a threatened veto by the President (it would have been his first of his presidency) and after intensive lobbying by Vice President Cheney. While lobbying to preserve torture, President Bush and other administration officials claimed the U.S. did not engage in torture. 9. The Downing Street Memos breakthrough in the corporate media. A concerted web based campaign by a coalition of organizations under the name, AfterDowningStreet.org forced the corporate media to cover the Downing Street Memos. A series of memos that added to the evidence that the Bush Administration manipulated intelligence to send the U.S. to war. As the evidence mounted the public came to support the impeachment of President Bush at levels higher than they ever supported the impeachment of Bill Clinton. 10. Anti-war Democrats, ignored the leadership of their party and have gotten organized and are speaking out more effectively than they had been through the 'Out of Iraq Caucus' in the House. House members deserving special recognition include Maxine Waters (D-CA), Lynn Woolsey (D-CA), Dennis Kucinich (D-OH), Barbara Lee (D-CA), Neil Abrocrombie (D-HI), Jim McDermott (D-WA), Michael Capuano (D-MA) and Cynthia McKinney (D-GA) and Henry Waxman (D-CA). 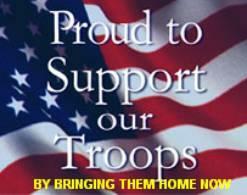 In the Senate Russ Feingold (D-WI) and Robert Byrd (D-WV) have spoken out for bringing U.S. troops home. And, Sen. Harry Reid, the Democratic Leader deserves credit for closing the Senate to force debate on misuse of intelligence leading up to the invasion. 1. Bush Family war profiteering on the war in Iraq. The extent of Iraq contracts going to corporations which involve members of President George W. Bush's family has not been investigated by the corporate media. Among the Bush family members profiting from the war are his brothers Neil and Marvin as well as Bucky and William. This involves contracts worth hundreds of millions of dollars. Often Bush-related firms receive contracts where the corporations have no expertise and certainly the Bush family members have no expertise or experience in these areas. 2. 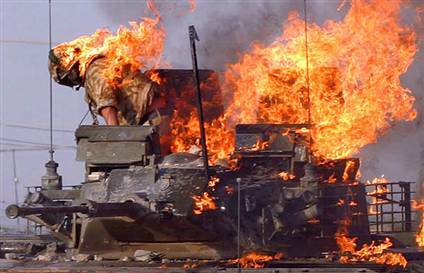 Investigate the alleged war crimes in the assault on Fallujah. 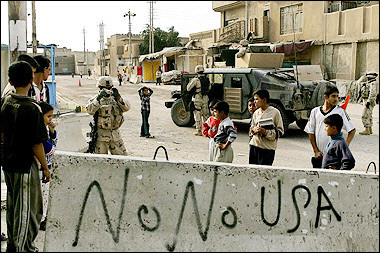 The city of Fallujah had once been quiet about the occupation, but U.S. soldiers killing of civilians protesting the military taking of a school led to an uprising. The result: two devastating assaults, accusations of indiscriminate bombings, killing of civilians and the use of chemical weapons. Today, as one unidentified U.S. solder says "Anyone in Fallujah can be an insurgent." Understanding Fallujah will explain why the U.S. cannot win the war in Iraq. 3. The environmental and human impact of depleted uranium needsinvestigation. The U.S. is using armaments with depleted uranium claiming that there is no risk involved. Yet, there is evidence of danger to U.S. soldiers as well as Iraqis and the environment. 4. Is the United States losing the war in Iraq? In his recent series of speeches consistently claimed that the U.S. will leave Iraq when we win the war. Further, he and the Vice President have been claiming that we are winning the war. They know that many Americans are willing to take U.S. casualties and spend billions of dollars if there is a chance of winning. Yet, there is strong evidence that the war cannot be won and that the U.S. is doing more harm than good by remaining in Iraq. 5. The under counting of U.S. casualties in Iraq demeans the sacrifice of U.S. soldiers and is an unpatriotic lie of the Bush Administration. While 15,000 soldiers are reportedly casualties of the war, in fact more than 100,000 have sought medical treatment. The administration undercounts casualties as part of their effort to hide the true costs of the war. The media should pierce this veil of dishonesty and tell the public the truth about the casualty count. 6. The need for a corporate withdrawal from Iraq as a first step toward giving Iraq back to Iraqis. The U.S. has been unable to rebuild the infrastructure of Iraq - electricity, oil production, sewage treatment, government buildings and other basic infrastructure needs - are not being rebuilt at a satisfactory pace. Evidence of widespread corruption by U.S. corporations is institutionalizing corruption in Iraq. Halliburton is a prime example of a government boondoggle - ineffective in its rebuilding efforts, unauditable in its billing practices and unfair in its treatment of workers - it is a prime example of the need for a U.S. corporate withdrawal from Iraq. 7. Impeachment of the President and Vice President needs to become a part of mainstream political dialog. The evidence of false statements by the administration, and especially Bush and Cheney, has grown in 2005. The public believes that if the President lied he should be impeached. More and more people are openly talking about impeachment, now it is time for the media to examine whether the President and Vice President are above the law. Rep. John Conyers issued a detailed report on these issues and submitted various impeachment-related bills at the end of the session. 8. Examine the real costs of the Iraq War - not just the hundreds of billions appropriated for the war, but what these appropriations are costing Americans in their daily lives. With the U.S. budget in high-level deficit spending continued occupation of Iraq - at a cost of $6 billion per month - means the U.S. cannot fund other projects. Sen. Edward Kennedy has put out a list of what the U.S. could do with the money - in health care, education, housing and other necessities of the people. It is time for the American public to know what this war is really costing. 9. Is the U.S. becoming the enemy we abhor? Reports of torture, civilian casualties, use of weapons of mass destruction make the United States more and more similar to Saddam Hussein's Iraq every day. Are these reports of U.S. military atrocities accurate? Shouldn't the U.S. media at least investigate these allegations? 10. The politics of the Iraq War in 2006. Are Democrats at risk of turning off their anti-war base by being unable to enunciate a position on Iraq? Are Republicans risking loss of control of either or both Houses of the Congress? How many voters feel like Cindy Sheehan who says she will not support any pro-war candidate - Republican or Democrat? Is the anti-war movement organizing to support anti-war candidates and oppose pro-war candidates?